Ready to try sunscreen pills? You would be surprised to know that a new kind of pill has entered the market that can replace sunscreen cream and lotion. Yay ! Most of these pills are based on antioxidant-rich extract from the tropical fern Polypodium leucotomos. It is a fern plant found in Central America. It contains polyphenolic compounds, mainly benzoate and cinnamates, 4-hydroxycinnamic acid (caffeic acid) which can inhibit UV induced peroxidation and production of nitric oxide (NO). Polypodium leucotomos extracts have various beneficial properties, including anti-inflammatory action, DNA photoprotection, immunoregulation, and anticarcinogenic potential. Compound extracted from symbiotic algae found in coral too is used in making ingestible sunscreen pills. This pill not only protect human skin, but also can protect eyes from harmful UV rays. Can Sunscreen Pills really Protect Skin? These pills for sure contain antioxidants and can benefit everyone, regardless of skin type or age, but we are now too far away from completely ditching sunscreen lotion. According to dermatologists these pills need to be used along with good quality sunscreen lotion to see desired effect. At this time point they only function as mild adjuvant to topical sunscreens and reduces sunburns in fair-skinned people. It can also enhance repigmentation and reduce phototoxicity of UVA or UVB therapy in vitiligo patients. Sunscreen pills must be treated as vitamins by skin care lovers. FDA has just issued a warning about Sunscreen Pills. 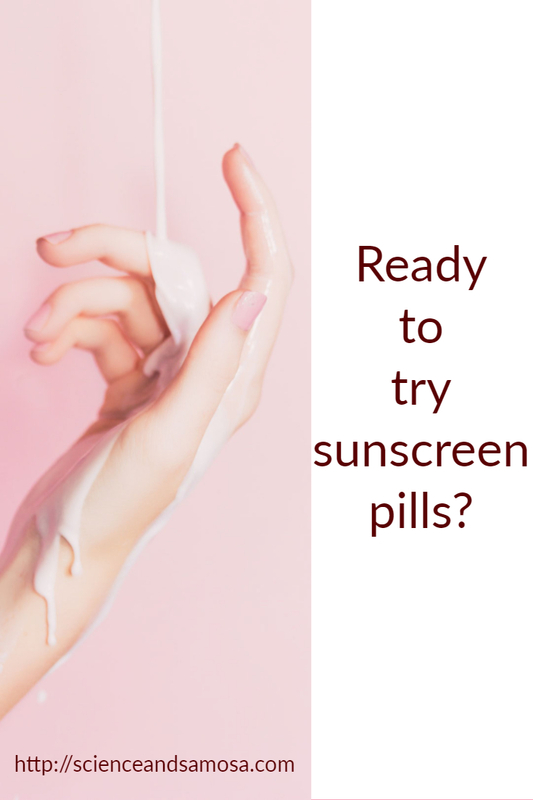 They have released strong warning to consumers that these “sunscreen pills” are not a replacement for topical creams that reduce the risk of sun damage. An innovative step in the direction of protection from UV rays. Fight from within! Interesting piece of information Hena.